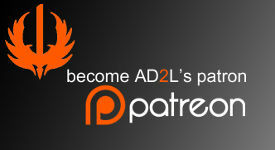 During our registration period you can sign up your team to compete in AD2L. Afer you are registered you can go to your team page and add people to your team. Follow us on Twitter and Facebook to get the latest announcements on registration periods and season start dates.Please note that until registration is open for the next season you will not be able to register a new team. How do I add members to my team or join a team? In Season 4 the captain will be responsible for adding any team members to his team. There will be no way for a player to join a team without the captain. However, in order to be added to a team you will have to be in our system. To get into our system you'll simply need to sign in through steam!. When the desired players are listed, click "add them!" Smile and send a maple bar to Leskin. He deserves it. Can I sign up if I do not have a team? Set your free agent status to "Yes". Find teams. Make teams. Make friends. Play. Win. How do I use the free agent page? Each player on our site has their own page where they can put something about themselves in their bio, list their desired roles, their MMR and total hours played. Please use these so that teams can recruit you and you can easily recruit others. You can sort by any of these statistics on our free agent page. We also have a few additional pretty cool tools that you can use. Each player's page has a heart right next to their name. If you click this heart, you endorse that player as a good player or someone worth playing with. If you enjoyed playing with a player even a little, we encourage you to endorse this person. This doesn't necessarily mean the player is going to be professional by any means. It's just a little something saying that someone real believes this player has value. Comments are like one step beyond an endorsement. If you feel that soemone was especially worthwhile, leave a comment! This should help others know a little more about the player and their skills. This is NOT a place for flames or criticisms. Comments are not anonymous and if we will take further action. Can I cast matches for AD2L? Pick a game that you want to cast and tell and admin to schedule it for you! Done! Side note: We REALLY want the AD2L community to grow. We encourage you to add the captains on steam and let them know that you want to cast their game. Get to know people! Almost all teams would love to have their game cast! If you contact us, we WILL respond. Fast. You can also iMessage us at amateurdota2league@gmail.com! Join our steam group chat for possibly instant answers! Contact Submaniac or KuroSaki for information on inhouses. We are extremely grateful for their support!